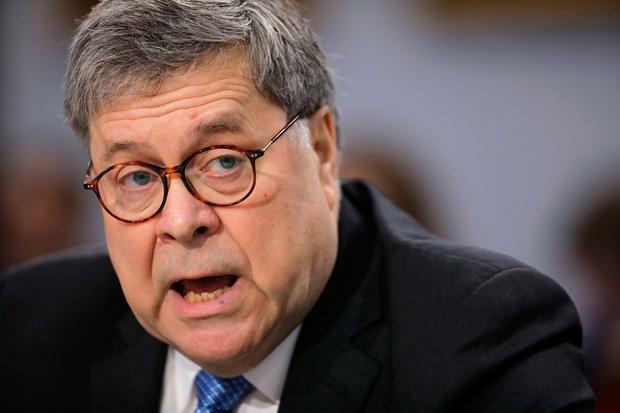 US attorney general William Barr has told legislators they could expect a redacted copy of special counsel Robert Mueller’s report “within a week”. Mr Barr was speaking about the report – the findings of an investigation into alleged Russian interference in the 2016 election and possible collusion with Donald Trump’s 2016 campaign – during a tense hearing on Capitol Hill that yielded more questions than answers. He then refused to answer whether the White House had been briefed on any aspect of the special counsel’s report. “I’m not going to say anything more about it until the report is out,” he added. Democrats expressed frustration and concern with Mr Barr’s handling of the report. Nita Lowey, chair of the House Appropriations Committee, grilled him over how he managed to reduce the massive document into four pages just days after he had received it. “Even for someone who has done this job before, I would argue it’s more suspicious than impressive,” she said. He added that Mr Mueller’s team was redacting the report before providing it to Congress. The attorney general plans to produce a report during “this first go” with four types of redactions – relating to grand jury information, classified information that could reveal agency sources, information pertaining to ongoing prosecutions, and information that may implicate “privacy or reputational interests” of peripheral players. The report will be colour-coded, according to Mr Barr, and will feature explanatory notes for all of his redactions. It remains unclear what legal grounds the attorney general has to place redactions for all four of his listed components, however. Mr Barr added he would convene with Republican and Democratic leadership from the House Judiciary Committee after the report is released to determine whether they required any further details.